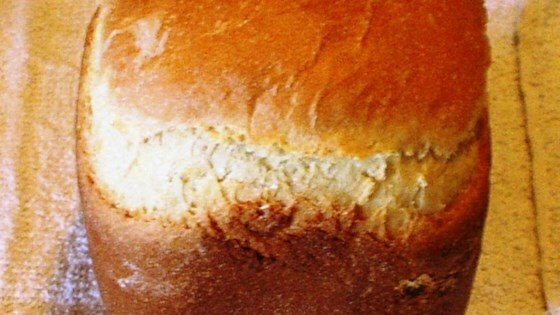 "Bread machine recipe. White bread with some wholesome ingredients." Add ingredients to bread machine in order suggested by the manufacturer. Add enough water to make a firm dough; use less if leftover potatoes are used. Bake at regular bread cycle. This is a good recipe, but indeed it needs extra water (approx. 1 cup). I also ended up using a wheat blend flour for 2 of the cups (it's what I had on hand) and it worked just as well. This recipe is wonderfully moist and toasts great. Add some garlic and basil for a flavorful twist. good, tasty potato bread. close to a recipe i had years ago that my dh and i used to make every week. This bread needs more water to form the ball . I add a 1/2 teaspoon more yeast , came out light rose up great . taste wonderful , i will make this bread for now on .